The 29 1/2-foot trailer equiped with six mobile shower units and bathrooms. 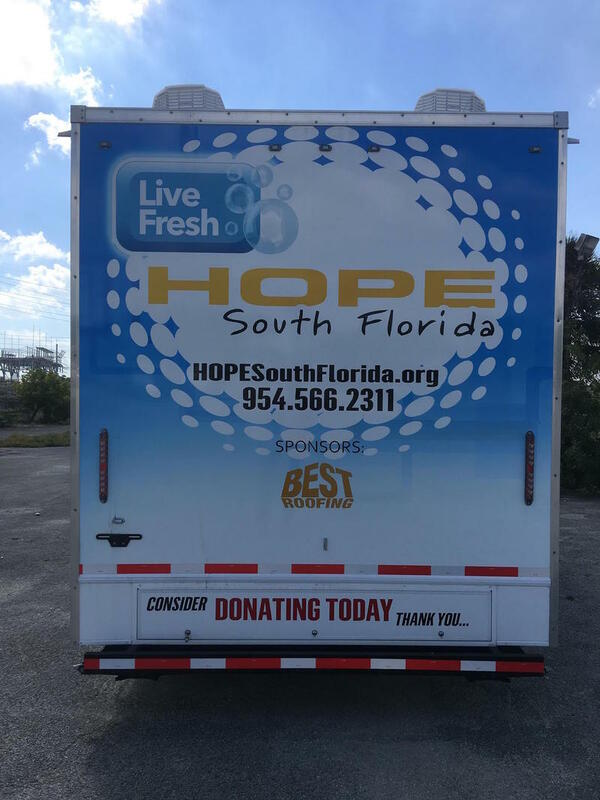 The trailer provided by HOPE, a South Florida non-profit organization. A 29 ½-foot trailer equipped with six shower units and bathrooms will sit next to the St. Christopher Episcopal Church in Fort Lauderdale and it will be available to anyone in need of a shower. The Broward County’s annual Point-In-Time Homeless Count showed that 2,302 people are experiencing homelessness in the area. In Miami-Dade that number is almost double, 4,235. 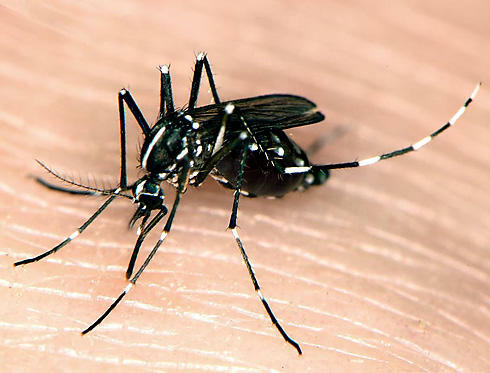 In Palm Beach and Monroe counties the numbers were smaller, with an estimated 1,400 in Palm Beach County and 250 in Monroe County, according to the same report. 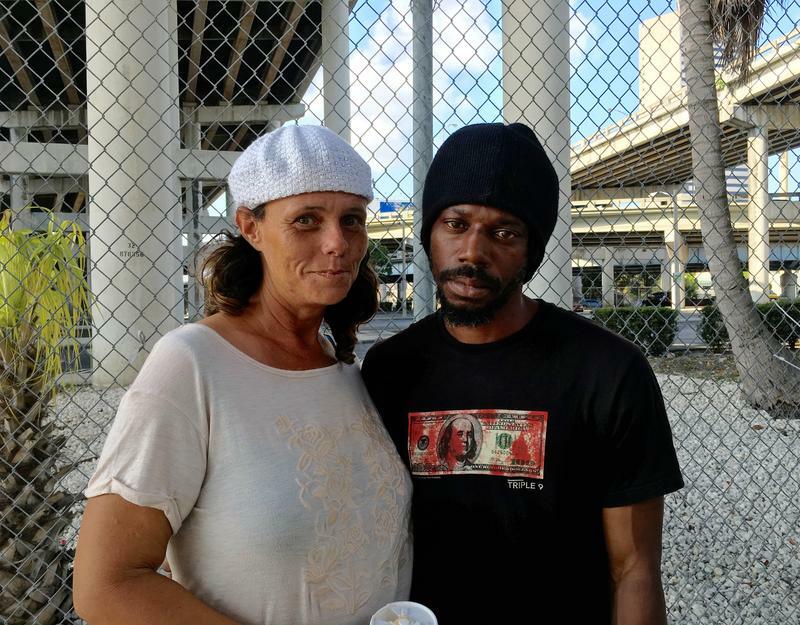 “We were fortunate enough to receive a $50,000 donation from an anonymous donor and that enabled us to move forward with the project and to purchase the unit,” said Sheneka Spencer, the director of development of HOPE, a South Florida non-profit organization dedicated to assist homeless and low-income communities. HOPE South Florida is the first to initiate the mobile shower project in Broward County. 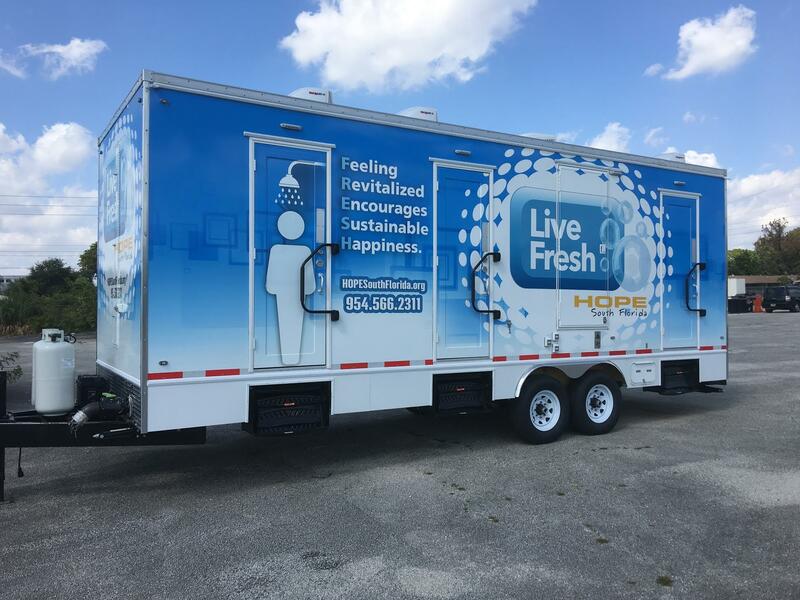 It teamed up with Live Fresh, a Palm Beach County based organization that provides the mobile showers and who brought the idea to South Florida in early 2016. The trailer will also include things such as toothpaste, shaving kits and lotion. Spencer and her organization hope to expand the project to other locations by continuing to receive donations--the primary funding for this project. Spencer anticipates the project will be successful as it will help “boost the confidence” of the homeless. She also believes it will not cause any negative reactions from neighbors and local business owners. HOPE also serves more than 150 meals daily and provides short and long-term housing for homeless families. Last year more than 130 families found housing through HOPE’s Rapid Re-housing program.